EVERY OF THE STUFF: SON OF A SAILOR // oh, how we loved renegade! SON OF A SAILOR // oh, how we loved renegade! while it’s kept us more busy for the holiday than we ever anticipated (which is good, mind you!) 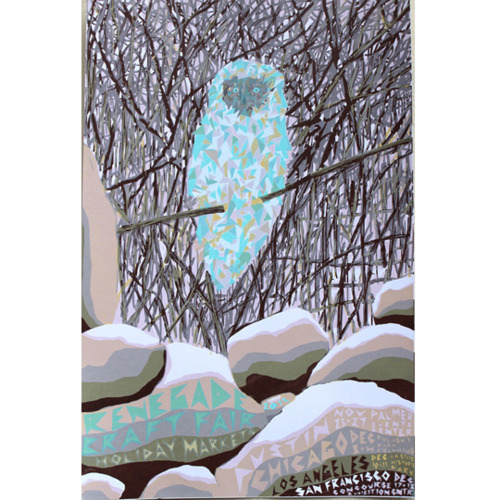 the renegade holiday fairs have been wonderful! the weekend after thanksgiving was renegade austin, and it was a blast! it was the first annual holiday fair here in ATX, and it seemed to go off wonderfully! 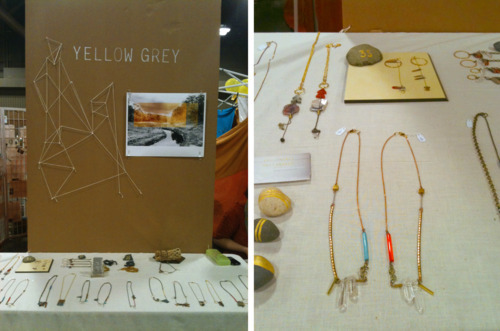 we loved the opportunity to interact with folks, and see how people responded to our jewelry and prints. the other vendors there were amazing—-we were lucky enough to be right next to Leah Duncan, one of our major design crushes! across from us was a fantastic letterpress company, Studio SloMo. they became our new friends, and we adore their beautiful creations! my favorites were these cards with bands of overlapping color and a collaboration they did with Leah Duncan! 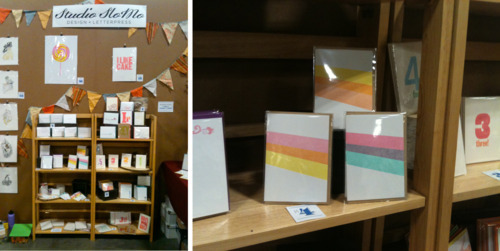 you can also now find their cards at Schatzelein, here in Austin! 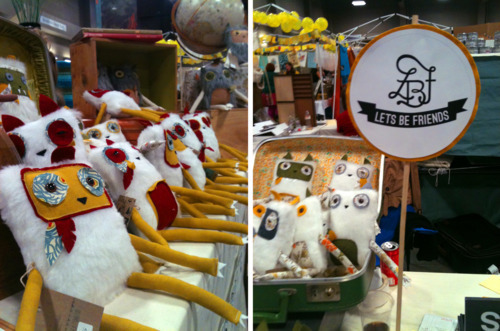 we also made friends with another letterpress studio, let’s be friends, who also handcrafts these adorable plush toys. felicia is super great, and writes this blog, too! one of my favorite displays from the show was from yellow grey. first of all, their jewelry is gorgeous. let’s just get that straight. but i was really impressed with their transformation of the otherwise lifeless cardboard walls that we were supplied, into something super beautiful! i love the string art, and they painted stones in gold for their price tags….they really did quite a lot with just a little. so now we have just a couple of weeks to prepare for the renegade in San Francisco, and man we’re hustling! we’re pretty much remaking our entire inventory, and hoping some of our supplies come in on time! agh! but it’s great, and we’re so thankful for a fun and invigorating holiday season. come see us in S.F., won’t you!? !